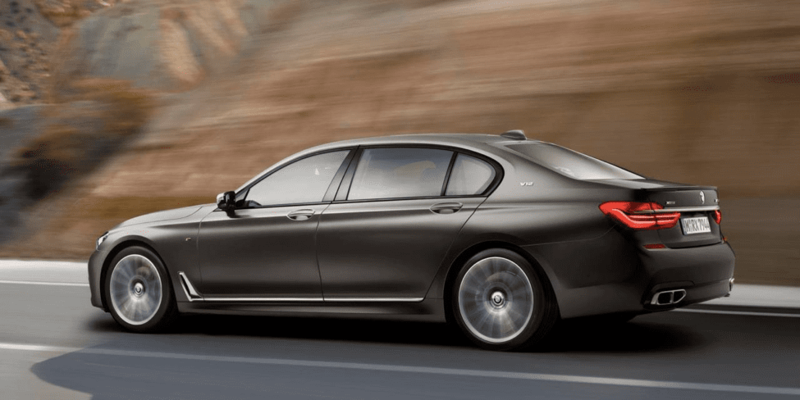 The latest variant of the sixth-generation BMW 7 Series sedan is set to arrive this summer and will most likely impress buyers with its 12-cylinder engine and eight-speed automatic transmission. Defining the perfect combination of luxury sedan and sports car, the M760Li xDrive will start at about $159,900. The full-size luxury sedan by BMW embodies both high-end travel as well as the athleticism of a sports car. Its twin-turbo V12 engine generates 600 horsepower and 590 pound-feet of torque, meaning it can travel 0-62 mph in just under four seconds. The M760Li xDrive features all-wheel drive for all-season driving, something its competitors do not have. In addition, this car is equipped with an extended wheelbase and has good fuel economy at 13.6 liters per 100 kilometers. When sport mode is selected by the driver, the V12 engine can be easily heard with its powerful sound created by its exhausts with active flaps. In the adaptive driving mode, the car suits the driver’s handling style while the V12 proves to drive smooth on public roads. On the inside, this V12-powered sedan hosts all the amenities a luxury traveler would need. 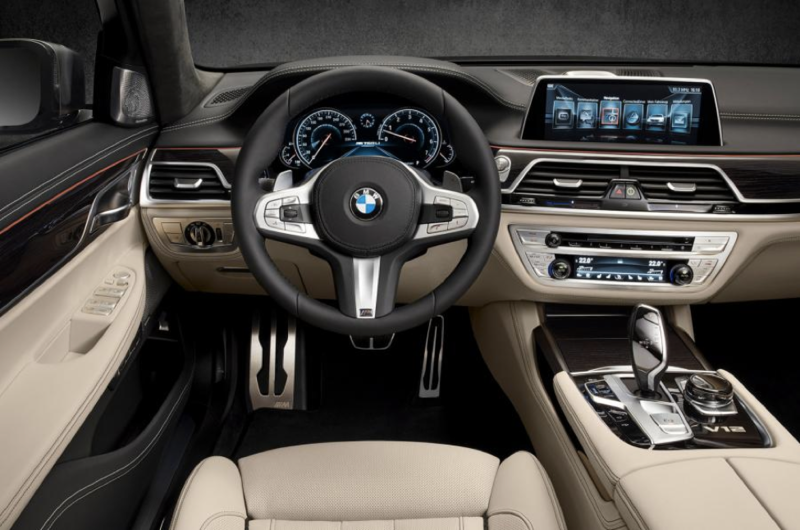 Executive style seats, USB ports in both the front and center consoles, and the iDrive 5.0 system with touchscreen capability all come standard. 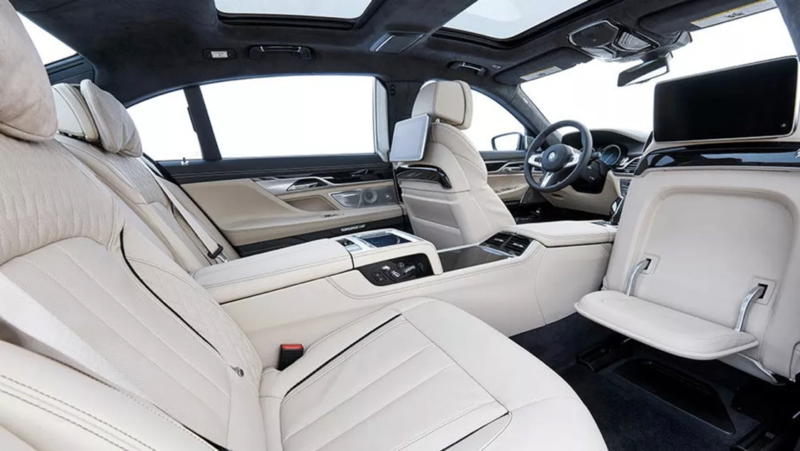 In the back right seat, the “boss” can advance the front passenger seat forward to increase legroom and then fold down the footrest on the back of the seat. Additionally, electronic tablets easily communicate with the main entertainment system so that rear passengers can seamlessly change the settings. 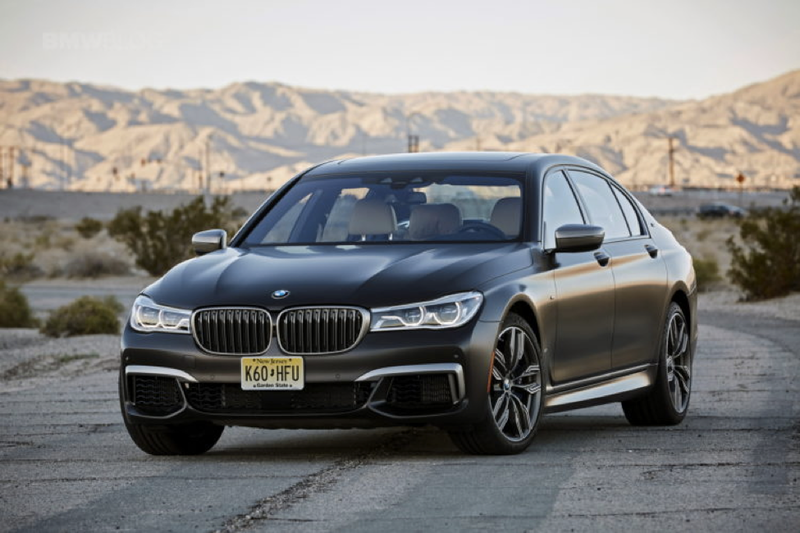 With an emphasis on power and performance, the luxurious BMW M760Li xDrive is a perfect combination of sleek style and powerful execution.